Croatia team top the qualification group having recorded four wins from five matches during the first half of the group. Since last year's World Cup, Kovac's men have suffered just one defeat in 8 matches - a 2-1 defeat to Argentina. The reverse match in November finished in a 1-1 draw, with Ivan Perisic and Antonio Candreva on the scoreline. In the last fixture, Croatia have crushed Norway 5-1 in Zagreb back in March. Rakitic should be recovered in time for the match while Luka Modric is missing because of a knee injury. Milan Badelj and Anas Sharbini are in contention to replace Real Madrid's midfielder while Kovacic is expected to be benched. Domagoj Vida may line up alongside Vedran Corluka at the heart of the defence. Perisic and Olic will support Mandzukic up front. Italy also have an unbeaten record since bowing out of Brazil 2014 during the group stages. Conte’s side opened their Group H campaign impressively with 3 consecutive wins against Norway, Azerbaijan and Malta. The Azzurri drew the following two matches. A late equaliser saved their blushes in a 2-2 draw with Bulgaria last time out and as consequence they sit second in the Group H, two points behind their opponents. Giorgio Chiellini, Andrea Barzagli, Simone Zaza and Luca Antonelli are all on the sidelines and Inter's central back Ranocchia is set to partner Leonardo Bonucci in defense. PSG's Verratti has left the team with an ankle injury and will miss the match. Up-front, Conte will play with Graziano Pellè as central striker with Candreva and El Shaarawy on the flanks. Croatia have never lost a European Championship qualification tie on home soil. 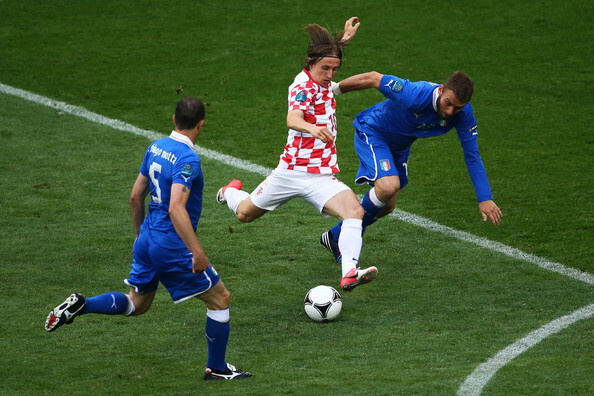 Furthermore, Italy have won just one of their eight direct matches with Croatia, their first encounter back in 1942. But the Azzurri are unbeaten in their last 45 European Championship and World Cup qualification fixtures.